This month Howkel Carpets are offering selected lines of Vinyl Flooring for just £4.77 per square metre ! Howkel Carpets - Huddersfield based carpet manufacturer established 1985 - are pleased to annouce the launch of our new website. A Westminster Abbey verger has been caught on film by ITV cartwheeling down the red carpet after Kate and Will's big wedding. 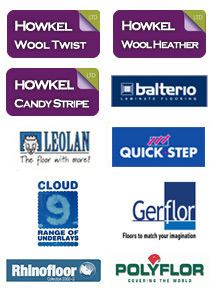 Howkel Carpets manufacture a range of quality wool carpets including Wool Twists, Wool Heathers and Candy Stripes.